In this age of email, text, Gchat, and a bilion social media platforms, we’re a little guilty of taking the easy way out when it comes to communicating. Luckily, Suann Song of SIMPLESONG Design and Old Town stationery shop Fifteen/Eleven has given us a bevy of beautiful outlets for expression. 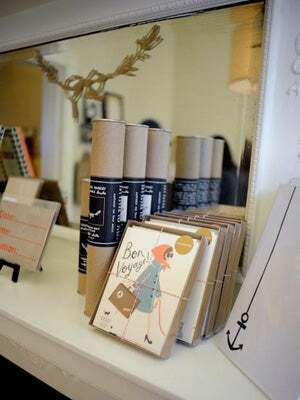 Song recently announced that the lovely paper goods outpost will be moving to a new, to-be-announced location, and she's honoring the occasion with an awesome sale to help clear out some inventory. Everything will be 60% off, including a plethora of greeting cards, beautiful calligraphy supplies, paper goods, stamps, pens, and the coolest organizational tools you can imagine. So, make a note (digital or otherwise) and don't miss out on this chance to score some pretty favors. When: Friday, April 5 from 11 a.m. to 5 p.m.
Where: Fifteen/Eleven, 1511 King Street, Alexandria; 703-548-0018.